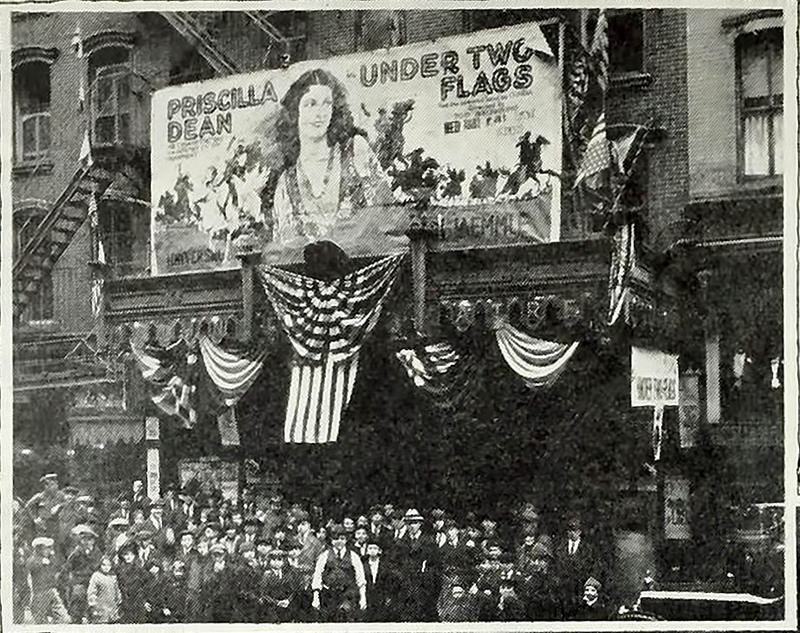 “The Clinton Theatre, New York, Manager Philip Dion, ran the picture [Under Two Flags] five days to S. R. O. business at every performance. “An Arab distributed personal visiting cards of Priscilla Dean on the back of which was scribbled a note announcing her picture at the Clinton. This entry was posted in Cinema, Movie Theatre, New York City, NYC and tagged Architecture, ballyhoo, Brooklyn Theatre Index, cinema, Lower East Side, movie house, Theater, Theatre Talks, Tod Browning. Bookmark the permalink.